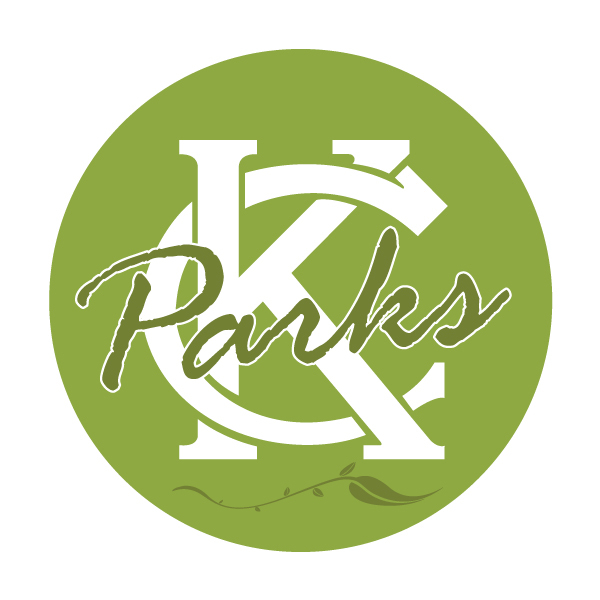 Join KC Parks, as we challenge the residents to help clean up the city. The harsh winter has left lots of trash and debris. 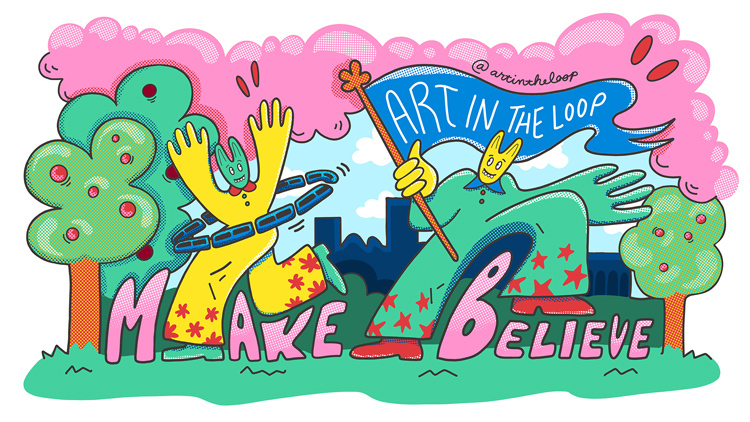 Throughout Kansas City, Missouri in parks, trails, boulevards and fountain areas. Step 1 Take a photo of a park, trail, boulevard or fountain area littered with trash. Step 2 Put on gloves and pick up trash. Step 3 Take a photo of the cleaned up area with trash bags—make it a selfie if you can. 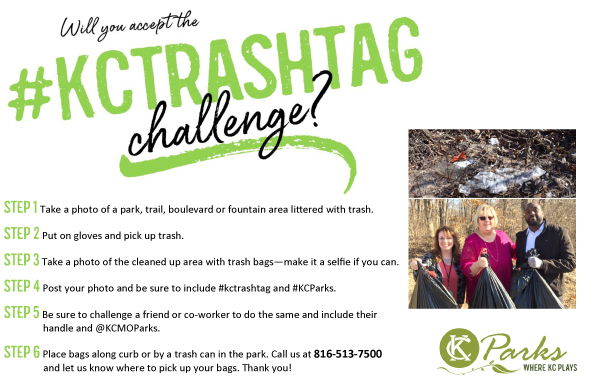 Step 4 Post your photo and be sure to include #kctrashtag and #KCParks. Step 5 Be sure to challenge a friend or co-worker to do the same and include their handle and @KCMOParks. Step 6 Place bags along curb or by a trash can in the park. Call us at 816-513-7500 and let us know where to pick up your bags. Thank you!